When using a commercial fryer for fish and chips, how often should it be changed to avoid unwanted flavors? In this column, we’ve previously addressed extending the life of frying oil: Use a high-quality oil specifically designed for deep-frying, filter daily (or more often if your volume is high), skim out extraneous food particles, keep the temperature below 375 F, salt food only after frying, and keep the fryer covered and cool when not in use. You can use a frying oil test kit to monitor when the oil begins to break down so you can change the oil before it imparts a rancid flavor into your food. Having a good nose and paying attention to change in viscosity and color can also work as lower-tech solutions. But your question raised a different red flag. 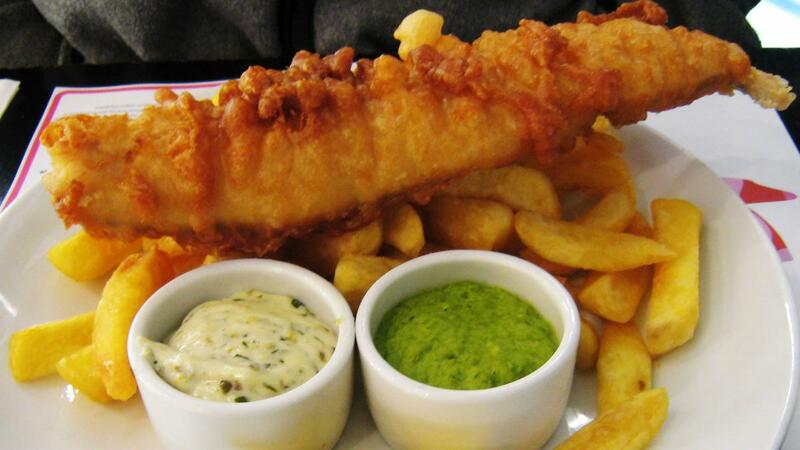 A fish and chips concept risks not only rancid flavors from frying oil overdue for a change, but also unwanted odors—and more importantly proteins—from fish and breading that could have cross-contact with the fries. While that may not be a problem for most guests, it poses a risk for both guests with fish allergies and guests with gluten allergies/celiac. Best practice would be to maintain separate fryers and monitor the life span of each fryer’s oil separately or, if that’s not possible, to be clear about your practices so that guests with allergies can order alternatives from your menu. More on best practices for quality and safety of frying oil here and here.